Colt left his ranch home years ago with a very strained connection to his father. Now he's returning with his tail between his legs due to some stock market upsets. His father is ill and Colt feels like it's time to come home. But he's positive that there won't be any fence mending. His father is too hard for that. But it isn't his father that meets him at the door of his childhood home. It's a beautiful woman holding a gun. Angelina is the house manager and hasn't met Colt, but she has heard of his reputation and isn't impressed. Changes have come to the entire Double S Ranch. Now the family and employees must learn to move with the changes or be left behind. I'll be honest, the first few chapters of the book did not pull me in. I couldn't connect and was really wishing I could stop. But for some reason about a fourth of the way in, it grabbed me and kept me for the rest of the book. I finished wishing the second book in the series was already out. 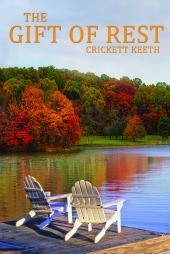 The author did a great job of setting the scene so the reader could picture the landscape, family drama, town relationships, and growing romance that made up the book. While it took a while, the characters grew on me and I liked their authenticity and faith. The characters deal with some really tough issues and handled them with grace, at least most of the time. I liked how the author didn't sugar coat real problems, but had the characters working them out with faith and grit. The importance of family is really emphasized and the overall theme of faith and trust in God is throughout the story. Overall, this was an enjoyable story by a new to me author and I look forward to reading more of her work. Little boys are amazing miracles from God. If you have a son then you know you are truly blessed. But they grow up so quickly. As parents, we love our children through each stage as they grow and get closer to leaving us to make their own path in life. The author has written a lyrical book that tells this story of the parents heart from the first moment of life until they are truly on their own. The illustrations are precious and fit well with the text. 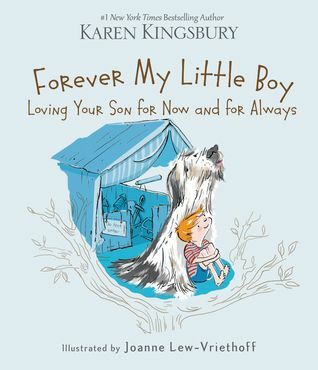 The book is one that will bring a tear to your eye, but will be a treasure to keep or pass on to another parent. The book would make an excellent gift for that new parent who is just welcoming their little boy into the world. While a few of the pictures and words appear to be geared more towards the mother, this book would work just as well for a father. All Amelia wanted was a family. When she couldn't provide that her husband left her. 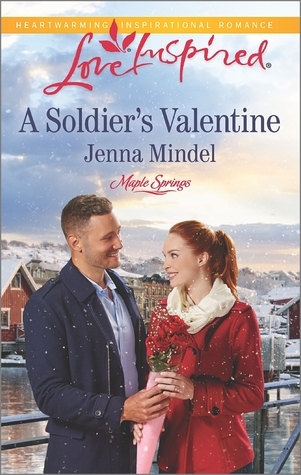 Amelia landed Maple Valley and fell in love with not only the town, but the people. These people became her family. So when her small town newspaper is on the brink of disaster, Amelia will fight with everything she has to keep it going for her adopted family. Logan has no idea what to do with the newspaper business that he's suddenly inherited. His home is in California and his business is on the brink of taking off. So he's hoping that a quick visit to family and an even quicker sale of the business will put him back home in time to help with a presidential campaign that will take his business to the next level. I absolutely loved this story. I've enjoyed this author from the beginning when I read her first book. But I think she just keeps getting better. This book was my favorite. The Walker family is authentic. They have good and bad qualities that feel real to the reader and make them personable and relatable. The plot didn't have everything happening the way the main characters wanted, instead it was closer to reality, with ups, downs, and surprises. Faith was mixed with traditions, family ties, and a small town community to create a story that will come alive for the reader and draw them in to the story. The romance was sweet, clean, and often times mixed with angst. But it fit the two main characters personalities so well and made me fall in love with them. It was the type of book that I rushed to finish so I could see how it ended, and then wished that I'd savored it because I didn't want it to end. I'm eagerly looking forward to the next book in the series and would highly recommend not only this book, but any of her previous ones as well. We often experience guilt for things that happened in the past. But is this how God wants us to feel? 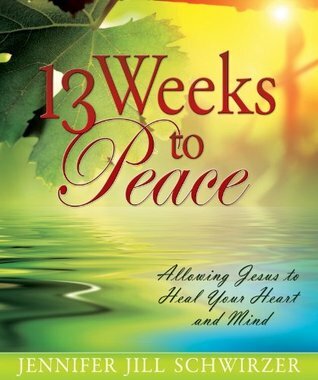 The author uses thirteen chapters to show how God loves us, heals us, and nurtures us. He wants us to find peace in Him. Each chapter contains stories from the author's personal experience or the experiences of her clients. She ties in scripture to illustrate her points. Scattered through each chapter are exercises or worksheets that can be found in the back of the book. These worksheets give a better idea of the concept the author is trying to present. Each chapter ends with discussion questions that relate to the topic. I picked this book because I'd heard about the author. The title and description sounded like it would be a good fit for our small group at church. The book was very heavy on the psychology and light on scripture. The author talked a lot about herself and gave very few practical insights that the every day person could use. It really felt like she was making the assumption that everyone was severely damaged and wrote the book accordingly. It was incredibly boring to those of us without a mental health degree. We only made it five chapters into the book before my group rebelled and chose another book. Sophie made a terrible mistake many years ago when she chose family obligations over love. Now Javier is the only one who can save her family business and keep Sophie and her brother off the streets. But Javier feels like a little revenge is in order after what Sophie put him through. But what starts out as revenge quickly becomes something else entirely. This was a complicated layout for a simple plot. It hits all of the marks for wounded hero, misunderstood heroine. The romance was more hot than clean and the ending is a given. But if you enjoy emotionally driven plots with lots of angst than you'll love this book. The author stays true to the style of romance and writes a romantic, dramatic conclusion for the couple. What would it be like to live in another time? 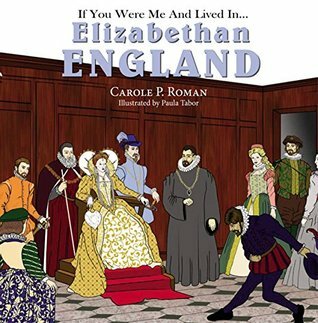 This book will tell you all about what it would be like to be a young child during the Elizabethan time in England. Follow a young family as they cook, dress, play, and live in London. Interesting details about their lives are mixed with illustrations that tie into the subject and help show what life was like back then. The book is non-fiction, but is written in story form to make for enjoyable reading. The back of the book includes a list of important people complete with pictures and facts, and a very intensive glossary. My kids and I really enjoyed this book. I was pleasantly surprised at how much information was packed into the book. The children loved reading about the different things, but didn't really realize that they were learning. It was just fun. This book would be great for family reading, but would also make an excellent addition to a history curriculum in schools or a home school setting. Darcie, an EMT, is on the way to visit a friend when she's grabbed from behind. The attacker is clearly intending to strangle her. Darcie manages to escape and runs towards her friend's house. But when she hears and feels shots whizzing by her head, she places a call to her friend Noah, a police officer. Soon Noah and Darcie are in a race to see who wants Darcie dead as more and more attempts are made on her life. The book begins with the tension high and never really lets up. 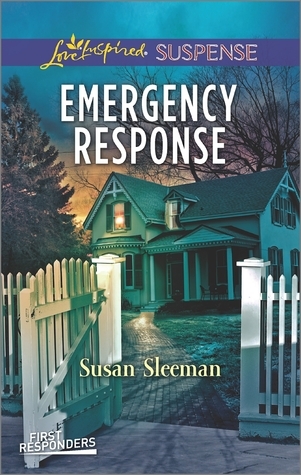 The author has set the scene with the attempted murder and carries the suspense throughout the entire book. It felt like there was a little more emotional drama with the two main characters than the other books, but with their backgrounds it fit well with the romance that was blooming. I enjoyed getting to know more about the other people on the First Responders team as well. The elements of faith that were subtly woven throughout the story were a great addition that gave heart to the book. The author does a great job of pulling you in to the story and making you feel a part of the scene. The characters are real and relatable. This is another great book that can definitely be read as a stand-alone. But the series is great, so I'd highly recommend picking up the previous books first. Follow the beautiful Blue Morpho butterfly through its changes and then as it joins other butterflies and flits through nature. The text is a lyrical poem spread throughout gorgeous illustrations of nature, children, and various butterflies. 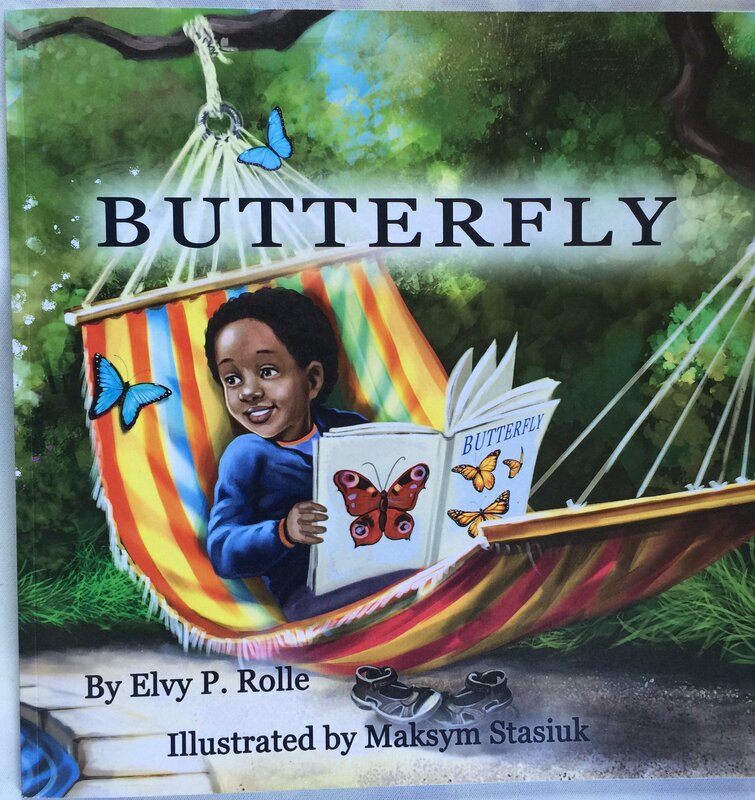 Eleven different types of butterflies are used in the pictures and then identified in the back of the book. There is a Blue Morpho butterfly that can be found on every page. At the back of the book is also a note to the parents outlining some of the ways we can help our children become engaged with nature. My daughter (7 yrs old) loved the book. She actually read it to me and her best friend, and then went back to the beginning to find the Blue Morpho. It opened up several discussions about nature and butterfly gardens. The presentation was beautiful and we can't wait to see the next book in the series. My daughter wants to keep the book, but I will be getting a copy for our school library as well. I received this book free of charge from Body & Soul Publishing in exchange for my honest review. Lucetta Plum has been an actress for years. Now she has a sponsor, a stalker, and some serious secrets. When her stalker becomes a problem for not only her family, but also her friends, she runs to a castle belonging to her friend's grandson. But this castle, owned by Bram, is not your traditional castle. Angry goats, a cannon, a moat, and strange ghosts make this a unique place to try and hide. The book is filled with the same humor that her previous books have all had. 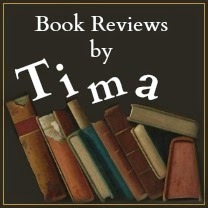 The main characters were full of life, quirky, and entertaining. I liked all of the secondary characters as well. They really rounded out the story and give a glimpse into people from the previous books. The positives were also a bit of a negative, if that is possible. The plot lines were all over the place and several of the parts of the story seemed to be unnecessary or over the top. Overall, this wasn't my favorite book in the series, but I did enjoy it. God knew what he was doing when he created a day of rest. Our bodies are designed to work and then recharge. But today so many people are rushing around frantically trying to fit everything in. And they never seem to take a rest to recharge themselves. The author has created an eight week Bible study to show us the gift of rest that God has given us. Each week takes a different aspect of rest and wraps the daily study around it. Each chapter has four sections - Looking to God's Word, Looking Upward, Looking Reflectively, and Looking Deeper. Scripture texts, thoughts from the author and other Christian authors, and a well laid out plan make this an interactive and thought provoking study. I enjoyed this book. There were a few things that I felt were off a bit in the theology. But that aside, the book was well laid out and presented the topic in a clear, concise, and logical manner. The book isn't large, but if taken one day at a time will leave the reader with a knowledge of how God intends to bless us through rest. This would make a great gift or would work well in a small group setting. Cassie fell in love with Doug when he purchased her childhood home and allowed her to stay on as a tenant. Several years later and she's pregnant with his son and he's been killed in Iraq. His younger brother inherited the home and now Cassie is afraid of being a single mother without a place to live. What she doesn't expect is to find out how different Tanner is from how Doug described him. The secrets that Doug had are overwhelming and change her entire prospective on not only their relationship, but how she views her life. Well written, emotionally driven plot, interesting characters. Very romantic in the "hero to the rescue" sort of way. I enjoyed the characters and the setting. The secondary characters helped to round out the story. 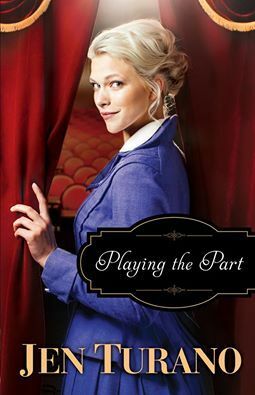 Because of the emotional aspect, it wasn't a favorite for me, but readers who thrive on the drama in a relationship will love this book. Although it didn't say anywhere in the description or on the book, I felt like this was in a series and I stepped into the middle. It can be read as a stand alone, but it would be nice to fill in the gaps by reading the other book(s) first. Overall, it was a nice story, but had a bit too much emotional drama for me. Nina Brandt, an FBI agent, loves her job. She has friends, a beautiful home, and a job she enjoys. But her past is about to hit her in both good and bad ways. When an ex-boyfriend asks for her help, she can't refuse. She still loves his little brother and wants to help. But she's hoping that they'll have very little contact. When a killer lets her know he intends to take her down, Nina decides that maybe having him close is a good thing. This story started off with a bang and didn't let up. It was fast paced, gritty, and emotional. The characters were well fleshed out and the suspense was edge of your seat. I read the first book in the series, but definitely think this one could be read as a stand-alone. I have enjoyed both books in the series, but I think this one was my favorite. The female character was so authentic. This is a Christian book with some slight elements of faith. But it's more gritty than the typical Christian suspense. There is definitely some violence. It fit perfectly with the plot and the suspense, but readers who can't handle this might want to steer clear. Overall, this was a great story and I can't wait to read the next one in the series. I would definitely recommend it. Samantha still holds some anger and resentment towards her family and Remington for what happened to her when she was a teenager. Caught with Remington her brothers sent her away to live with her aunt. Now Samantha is back in Martin's Crossing working as a nurse. But she can't get over the feelings of rejection when she was sent away and the anger at Remington for not coming to rescue her. And now he's back and wanting to get to know her again. 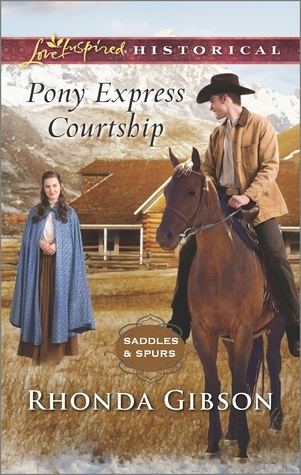 But Samantha just can't reconcile the boy she knew so long ago, with the preacher/rancher he has become. 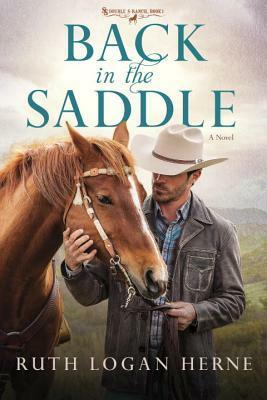 With a faith that is rocky and some trust issues she can't seem to shake, Remington realizes he may never be able to cross that friend zone she's put him in. This was a very emotion driven plot. There wasn't a lot of movement in the story since it was wrapped around the reunion and how or if the couple would be able to resume their relationship. The book would work as a stand-alone, but with so many unfamiliar characters and their stories being referenced, it would make more sense to have read the previous books first. The author did a great job of infusing faith into the story without it coming across as preachy. 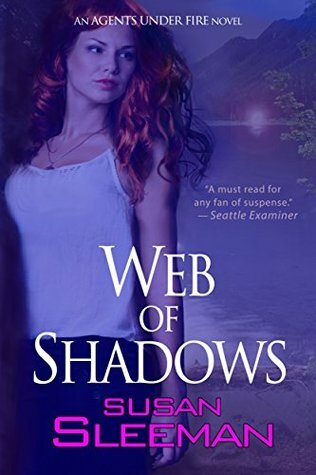 I enjoyed the writing style and several of the secondary characters were intriguing. But I'm not fond of an angsty story and saw the one "surprise" coming at the beginning of the book. Overall, this is a story that will appeal to readers who enjoy emotional plots and lots of feelings. The writing is well done and the characters are engaging, but the story line just wasn't my personal preference. People are looking for identity and acceptance. As Christians, we know that we need to look to God for our guidance and acceptance. The author takes the reader on a path to finding identity in Christ by telling personal stories and sharing their thoughts. This book is the expanded edition. Jack Frost previously wrote the book. Upon his death, his wife added some things and reprinted the book as expanded. I just could not get into the book. I had to put it down, read something else and then try to come back and plow my way through. There were tons of personal stories, so I'm not sure why this was the case. I also had some problems with some of the theology. The tone of the book felt like the author was bragging on himself, but was telling the reader not to become proud or look to humans for confirmation. It seemed to be a lot of repeating with personal stories thrown in. Overall, this might be a great book for someone, but definitely didn't do it for me. Evie knows all about heartache. Her husband, a firefighter, was killed during a fire leaving her with her five year old son Cody. Now, thirteen years later, she's almost a grandmother and Cody is married to a wonderful woman. Evie meets a guy named Jack who is completely different from her organized, scheduled self. 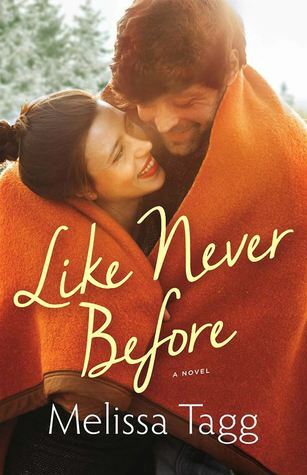 Evie needs to decide if she's holding on to her late husband or if she wants to take a chance on a crazy new life that won't be quiet or predictable. I really enjoyed the nuances of this book. The sprinkles of faith, the courage and purpose, the importance of family, and the unique characters drew me in and kept me for the entire story. This wasn't just a book about two people falling in love, it was a story about community and family. It has been a while since I read book 1 so it was nice to jump back into the town with characters I was familiar with and see where they were now. But I think this book would also work well as a stand alone novel. Overall, this was a well written story that will appeal to a large audience. I will definitely be adding it to my library. The food we eat and the things we put into our minds are filled with things that bog down our systems. Science tells us that our brains play a huge part in our health. Studies have also shown a correlation between our faith and our overall health. 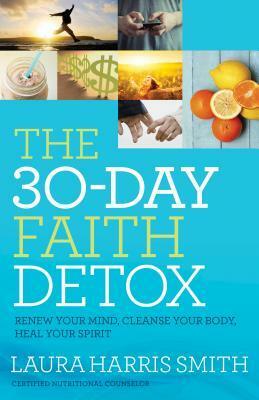 The author has broken down each part of our health and given a thirty day detox to heal all of these areas. Each day has a section for spiritual toxins, emotional toxins, and physical toxins, and ends with a blessing. The recipes and ingredients are common to find, easy to make, and work with any diet. I enjoyed reading this book and learning about the different aspects behind the concept. While the thought of completely changing everything for 30 days is daunting, I liked the idea. The detox diet and all of the recipes are based on food colors so the user can customize the month to their tastes, while staying within the parameter of the diet. I didn't feel like the faith part was strong and there were several things that I felt were theologically off. Since I haven't tried the detox, I can't speak to that aspect, so check out some of the other reviews. But I can say that I probably won't try it because the faith part isn't as strong as I would like, several of the meal plans seemed off nutritionally to me, and the overall idea was too daunting. Overall, it was a fun book to read. The concept, if I tweaked it, is intriguing, but I won't be keeping the book. It is incredibly difficult to raise a daughter in todays times. Parents and children are faced with difficulties from every angel. Our daughters are special and important, because they are the daughters of their heavenly Father the King. The book is designed around the concept that little girls want to be a princess and need affirmation from their fathers (or respected male in their life) to feel like a princess. 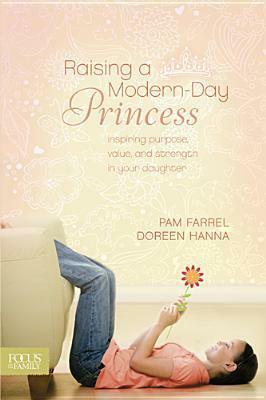 Using this idea, the authors created a program to honor the daughters and truly make them a princess. I was expecting to find a book full of encouragement and ideas on how to raise my daughter. While I did find a tiny bit of that, it felt like it was mainly a book promoting the ceremony that one of the authors designed. I like the concept of the affirmation ceremony, but I wanted more than must a one day idea. The ceremony seems to be 12 weeks of work for mom and then a blessing ceremony that dad participates in. I wanted something that gave me Biblical thoughts on how to raise my daughter as a child of the King, not steps on how to have a blessing ceremony. Since the idea of the book is based on the concept that all girls want to be a princess (they don't) and that all girls need that public affirmation from their father (if getting every day at home they don't) then this book will only fit a small group of people. And sadly, my daughter and I are not in that group. I definitely wouldn't have purchased the book had the title and description been more clear about the topic. Candace has suffered from depression for many years. 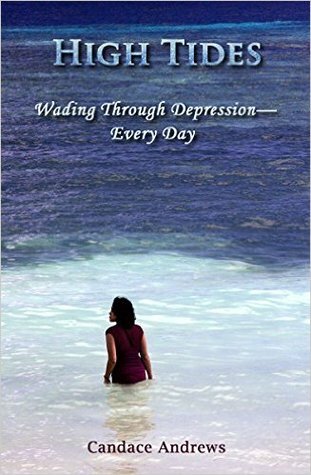 She wrote this book as a chronicle of her journey through the waters of depression in hopes that some of her struggles and the things that help her with resonate with others. Everyone suffers from depression differently. Different things trigger or help, no one person is exactly the same. But by sharing her battle with this disease, the author hopes to help the reader realize that they are not alone. She also hopes that by opening discussing what does and does not work for her will help someone else find the things that help them. She uses the analogy of tide water to describe her depression and how it affects her. The book was interesting from a purely story stand point. But I also gleaned some helpful insights into how to not only deal with depression, but also how to deal with the emotions that often overwhelm the person. The book is small, but it's a book that is packed with comfort and hope for someone suffering from the disease. I would recommend this to anyone who has been touched by depression, either themselves or someone around them. Monkey travels to eight different countries. Readers will see how he tells others his name in their language. Each page has an illustration of monkey visiting a country. On the opposite page is large, easy to read font with the words of monkey as he introduces himself. Below is the pronunciation guide so the reader can learn the words too. The illustrations are bright and colorful and help tell the story. I love the concept of teaching language in such a fun way. This book is part of a series that has different phrases using these eight languages. Each book has a different animal and slightly different graphics. This would be a great series to have for beginning languages with your children or to be used in a classroom setting. Emily is best known for being on the Bachelor and the Bachelorette. Twice she said yes to a marriage proposal that she knew was not quite right. 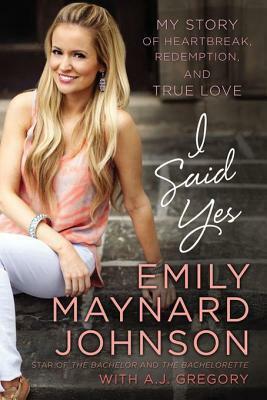 Beginning during her childhood, Emily tells her story and how she came to be engaged twice on national television. 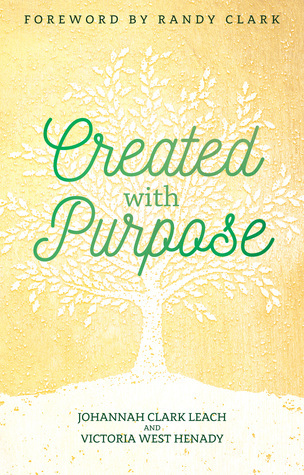 She chronicles her ups and downs, but most importantly, her journey to Christ. I enjoyed this book. I'm not a fan of either show, but I still enjoyed her version of the process and the story of her life. The book was well written. The author was honest and mentioned both her insecurities, failures, and successes. Despite the things wrong in her life, she wrote with a positive, upbeat tone that played well with her story and made the transition from the difficult years to the good years flow well. Overall, this was a great read and I really appreciated her honesty and thoughts on her journey to faith. Kara received the news that she had a nasty and aggressive form of cancer. She and her husband fought the cancer with everything they had. But in the end, Jason and their four children had to tell her good-bye. This book is complied from her writings, most of them on her blog. Kara learned early that she needed to embrace every moment, since her moments were limited. This was beautiful. It's a small book and a quick read. But the words that Kara wrote and the thoughts that she instilled are still with me long after finishing the book. Her attitude on life is something that I want to embrace and take with me. 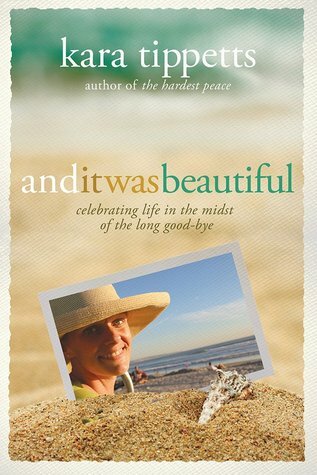 While the thoughts she expressed were all flavored with her deep and abiding love for Jesus, I believe the book would benefit anyone looking for thoughts on embracing life and living it to it's fullest. This book touched my heart and will touch yours as well. Because of budget cuts Zach is retired from the Army. While in the military he fell in love with glass blowing. So he purchases a building with two shops in it from an elderly lady. The shop that is next to him is leased by a young woman, Ginger, who owns a tea shop. Ginger is struggling with fiances, but can't shut down the shop. It's the only thing she's succeeded at. But when Zach raises the rent, she's put into a real bind. His offer to work in his shop in conjunction with her own is an answer to prayer. Now if she can just control the feelings that she has for her boss and landlord, everything would be great. This was a sweet, simple story of romance, faith, and letting go. There weren't a whole lot of secondary characters so the story was mainly about the two main people. The plot was emotion driven and dealt with a lot of feelings and emotional baggage that the two had to deal with. 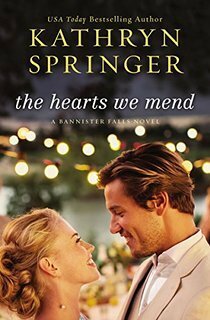 Overall, this was a clean story that will be enjoyed by romance lovers who like a touch of faith and a happy ending. Rebecca and her husband Jon decided to make their farm a Pony Express station and have their boys work as riders. But after Jon's passing, Rebecca realizes that she must continue with the plans if the boys are to have a chance in life. Seth is robbed on the way to find his mail-order bride who never showed up. So he takes a job as the station master at Rebecca's farm to earn more money. The two begin clashing almost immediately over almost everything. Rebecca, an orphan, protects her children, boys she's rescued when the orphanages turned them out at twelve. Seth needs Rebecca to trust him if he's to do his job and make these boys into men fit for the job. This was a fun book. All of the characters added to the plot and helped round out the simple theme. I liked the drama and tension that a large family always brings when trying to mix in new people. I think the book might be part of a series, but it read like a stand-alone. I can definitely see several of the secondary characters having their own book in the future. Overall, this was a book that I would recommend to anyone wanting a sweet, clean romance about family, trust, and faith. The author's mother was a quilter. In fact, most of the woman in Ms. Richards life were quilters. 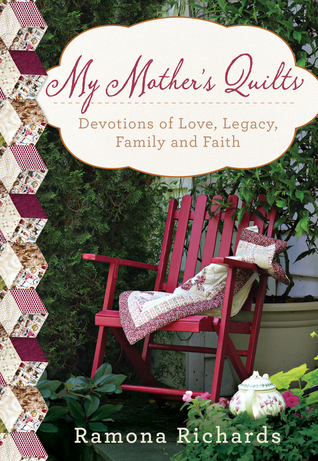 Presented in a devotional style, the author shares her memories of her mother and the quilts they discussed. Thirty quilts, thirty plus pictures, thirty different lessons learned. Each one has a beautiful photograph to showcase the quilt being discussed. Each chapter begins with a Bible verse and ends with a Prayer Starter. My mother and mother-in-law both quilt. So this was like getting a glimpse into what they enjoy. Each devotional was well written, had an important message, and made me think. I enjoyed each of the stories and the gorgeous pictures. This book would make an excellent gift for that quilter in your life. But I think it can be enjoyed by anyone, since it showcases family and faith so well. 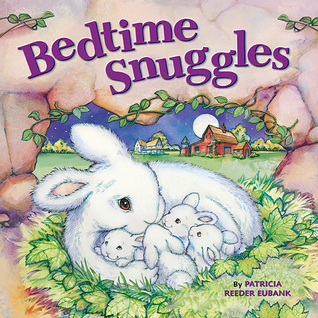 The book tells the story of farm and woods animals as they all head to bed to go to sleep. It mentions each animal and how its mother gets them ready for sleep by holding them close in some way. The sweet story ends with how a mommy will snuggle her child close before putting them to bed. The illustrations fill the entire page with the words over top. Each picture is adorable and will delight even the smallest children. Mine would have loved this when they were younger. The hard pages and smaller size make this the perfect book for a toddler that enjoys looking at the pictures along with whoever is reading to them. Blake and Brendan aren't remotely interested in going to Mr. Beckett's funeral. But mom and dad insist that it is the right thing to do; that going to a funeral shows respect to Mr. Beckett and his family. As the boys talk to people they know at the funeral, they learn about what an amazing friend, good citizen, and all around good man Mr. Beckett was. They resolve to leave that kind of legacy themselves. My children enjoyed the story. The subject matter is well presented and provides an occasion to talk with your children about death, funerals, and character. The plot showcases the importance of being a good friend and neighbor to those around you. The photography with overlapped illustrations will amuse the children and help tell the story. The book fits well into the When I Grow Up series. I received this book free of charge from Wigu Publishing in exchange for my honest review. 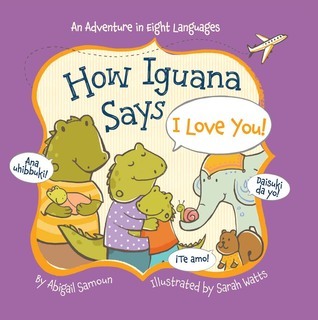 Iguana travels the world telling his parents that he loves them in different languages. Each page has a picture of Iguana in a different country with his parents. The opposing page has the words in the foreign language as well as the pronunciation. The pages have bright colors and playful illustrations. 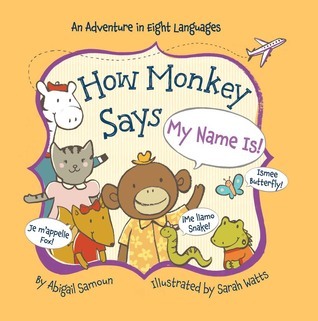 This book is the perfect way to introduce a young child to other languages. It pairs nicely with the other books in the series. The small board book make it easy for smaller hands to hold and turn pages. The font is larger and the illustrations will appeal to the intended age group. This was a sweet book that I would recommend to anyone who wants to broaden their child's understanding of languages. Chrissy Teigen, a model and celebrity, has a deep love for food. She filled this book with all of her favorite foods that she enjoys not only cooking, but eating as well. The book is peppered with witty comments, pictures of delicious food, glimpses into her life and family, and amazingly easy to execute recipes. The one thing this book doesn't have is desserts. Chrissy isn't a baker and so only put the things that she enjoys cooking into the book. Since she's a world traveler, there is a large variety of food packed into the cook book. First, I had no idea who Chrissy Teigen was when I picked up this book. I just love cookbooks. But after reading every page, I fell in love with her wit and her delicious recipes. This girl is hilarious. Even if you never intend to cook, the book is worth the price just for the funny things she says before each recipe. But the recipes are truly great. I've made a couple and they are delicious. And you don't need to be a great cook, since most of them are very easy to do. My overall opinion - amazing cookbook, hilarious notes, gorgeous pictures - totally worth every penny. I received this book free of charge from Blogging for Book in exchange for my honest review. 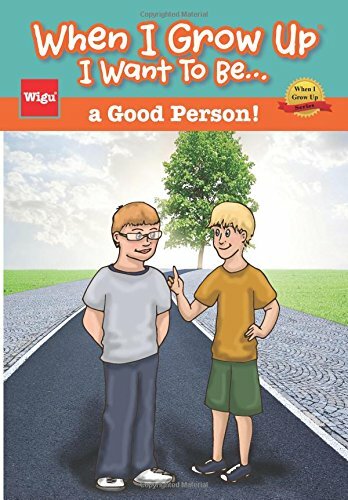 The two authors have pulled from their personal experiences to try to show the reader how to gain confidence and courage to pursue the purpose of their life and the desires of their heart. Each chapter begins with a subject, the author writing that chapter, and a Bible verse. Subjects such as Finding Your Value, Living With Grace, and Redefining Joy are a glimpse into the type of book the authors wrote. The writing style was easy to read and since there were so many personal experiences and stories it made the book go quickly. There wasn't anything that I didn't already know, but the book would be good for someone who is feeling lost or lacks a sense of direction. 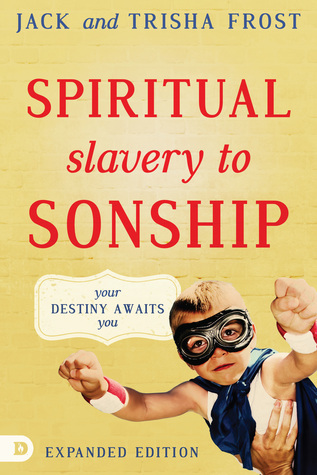 My only issue with the book was one of the authors mentioned some things that I felt uncomfortable with spiritually. But this is a personal thing and not a negative about the book as others will probably be fine with her concepts. 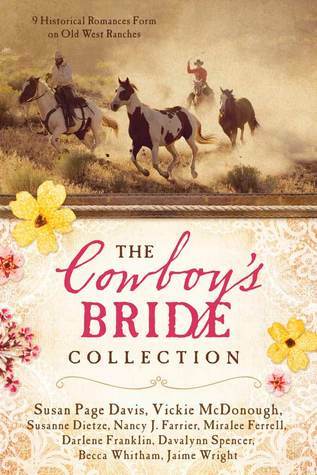 Cowboys and women from the West and South all come together in these stories of romance on the ranch. The stories all tie together with the theme, but are otherwise stand alone novellas that showcase the author's writing. 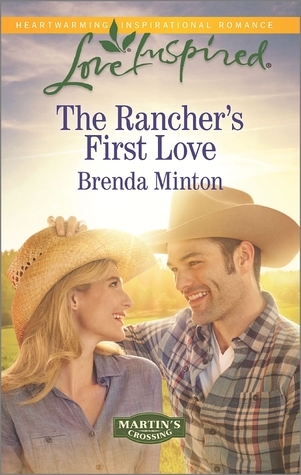 These romantic stories of ranch life and love are clean and have Christian elements of faith and trust woven throughout the plots. I really enjoyed this book. I was a little intimidated by the number of novellas in one book, but I flew through them. Each story was a good representation of the title and I loved the Christian aspect. This is a great book to pick up if you only have a short time to read as each story is separate. 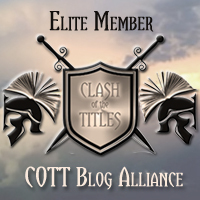 It also introduced me to some previously unknown authors that I plan to check out. I would definitely recommend this as a entertaining Christian romance. The book begins right where book 1 stops. Daphne is still waiting to find that special someone. Due to the pressures of the timeline that her aunt put in the will, she is often confused and stressed. 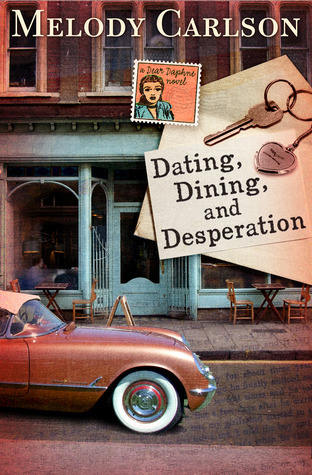 When a guy-crazy neighbor moves into the neighborhood, Daphne learns to put more trust in God and less in her emotions. She also finds a little girl who needs her help, thus taking the focus off of herself. This is definitely NOT a stand-alone series. It's more like a book that has been divided into small portions. I enjoyed this one more now that I know that it won't end, but still felt like more of a focus could have been put on God and less time talking about all of the different guys Daphne met and evaluated. It felt a little like junior high with girls giggling over boys. Overall, it's a quick read that will entertain someone who wants a diversion. But I'd recommend getting all four books before beginning since they don't really end.